No matter the season, the enduring power of blue and white shines through. This is certainly the case at the table where the ultimate color power play is a perennial favorite. Richard Ginori proves the point with its new introduction, Aurea. A modern reinterpretation of an iconic Gio Ponti design, this new collection is inspired by the geometry of perspective drawings. Available in a wide variety of shapes, the repeating patterns of Aurea have a timeless appeal, walking the line between pop culture pattern and nautical flair. 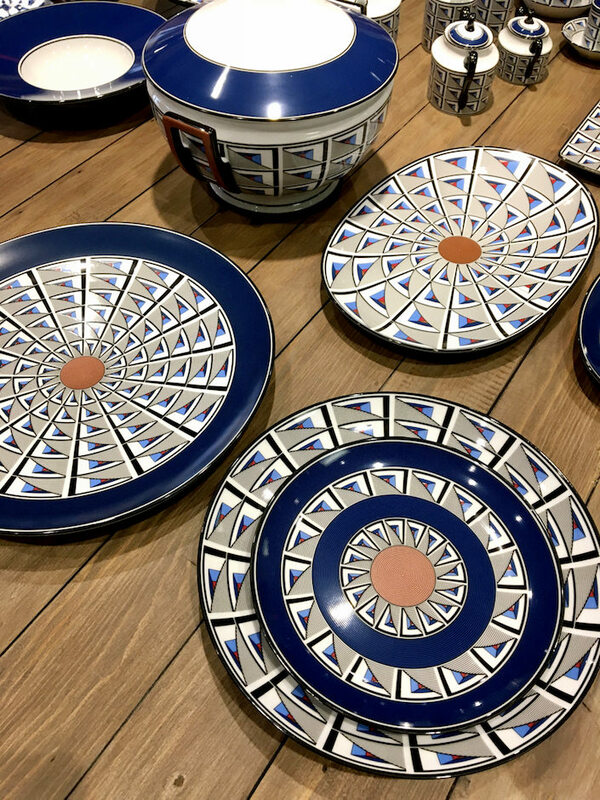 While many of the products I am sharing from the Spring 2017 Tabletop Market at 41 Madison won’t be available until August or September, it’s always good to have them on your radar as you start to think of fall gifting or upgrading at home later in the year. Those already procurable could be great additions as we approach spring/summer entertaining. 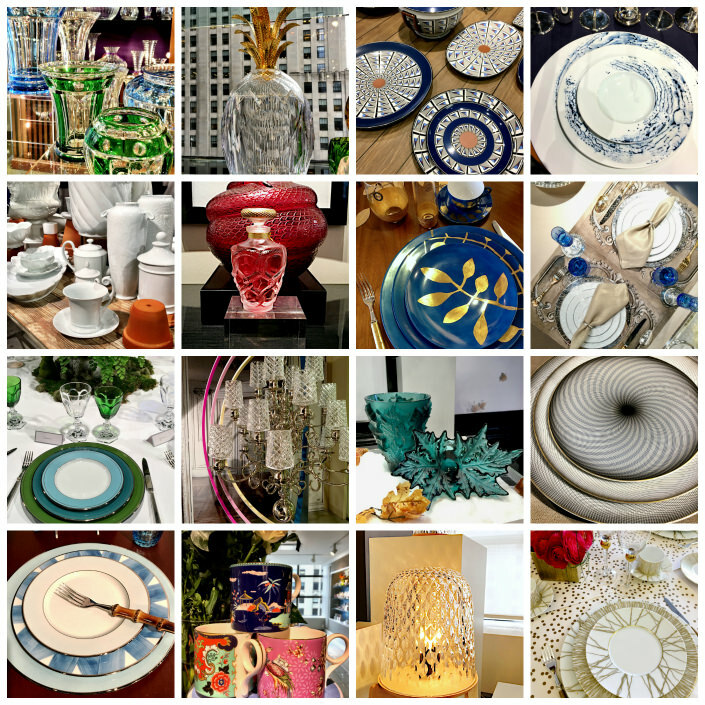 While it may barely be spring, the Spring 2017 Tabletop Market at 41 Madison is gearing up for fall. Tuesday was opening day and I spent hours perusing the showrooms to see what was new. I’ll be back tomorrow for a more in depth look at many of the introductions, but wanted to give you a sneak peek to whet your appetite. Welcome to a refreshing new notion in residential retail. 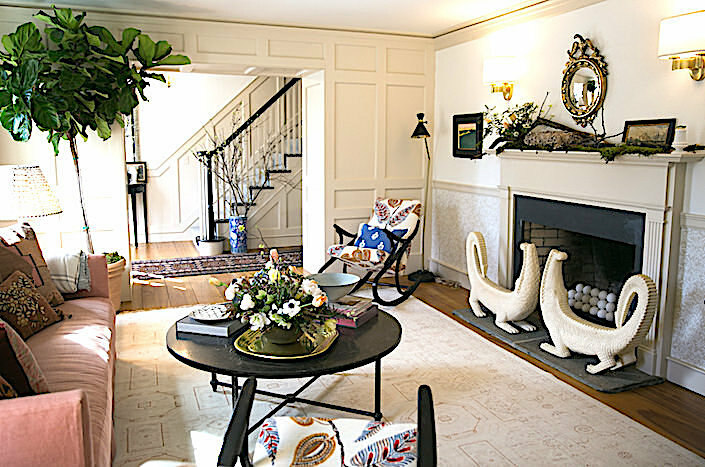 Taking the show house concept to the next level, the One Kings Lane Connecticut House is not only shoppable but happens to be the actual New Canaan, CT home of OKL president Debbie Propst. Nicole Fisher of the brand’s in-house design division, The Studio at One Kings Lane, worked with Debbie to update the house with a great mix of vintage finds and over 175 products from the site. For those who follow along on Instagram, I had the best intentions of posting the full tour of One Kings Lane President Debbie Propst’s lovely New Canaan, CT home today but with this being an incredible busy week in design, with one more full day to go as I write, there just wasn’t a second to spare. 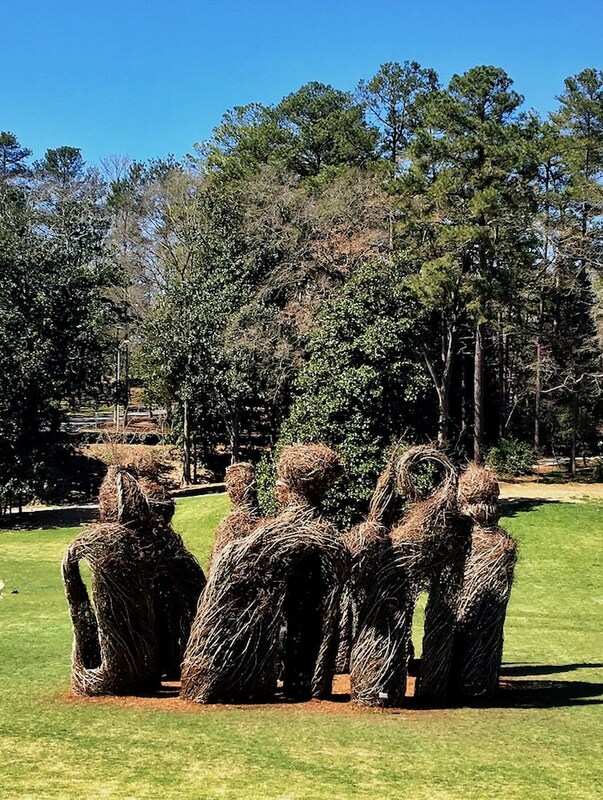 So today, enjoy a quick overview of what I’ve seen and I promise to be back with the new OKL piece ASAP! Deborah Needleman began her Sign of the Times piece in last week’s T Magazine Design issue, “This country is in the midst of a floral revolution.” And while she was referring to the new natural sensibility in flower arrangements (see my piece on Foraged Flora), it also applies to a wider range of artistic endeavors. Florals in fashion is certainly not new but this season in particular saw a plethora of designers embracing the concept. 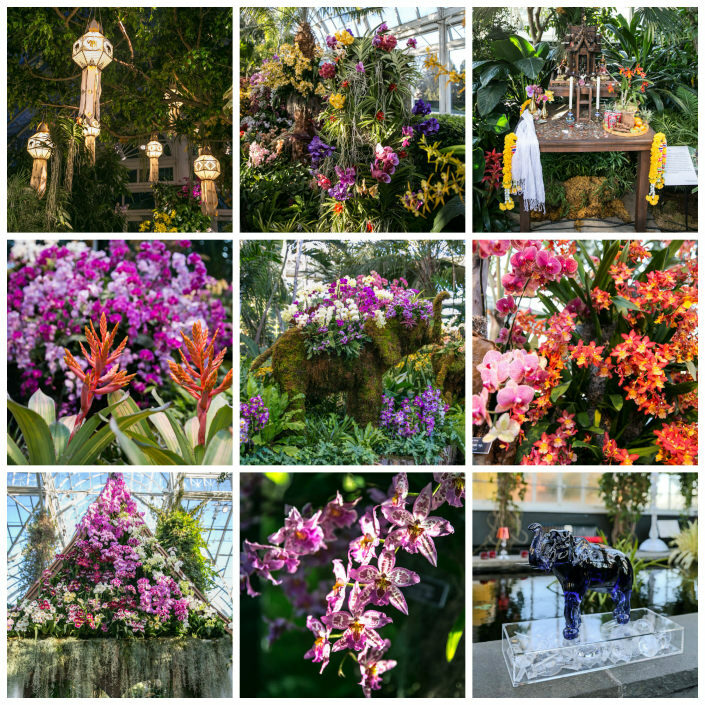 This spring, the 2017 Orchid Show celebrates its 15th year at the New York Botanical Garden with a focus on the the culture, history and of course orchids of Thailand. This southeast Asian country is home to more than 1,200 orchid species, one of the largest and most diverse in the world. With its warm and humid climate spanning many ecological zones, a wide variety of orchids have evolved to survive in each region, although most prolific in the cool mountain forests in the north. 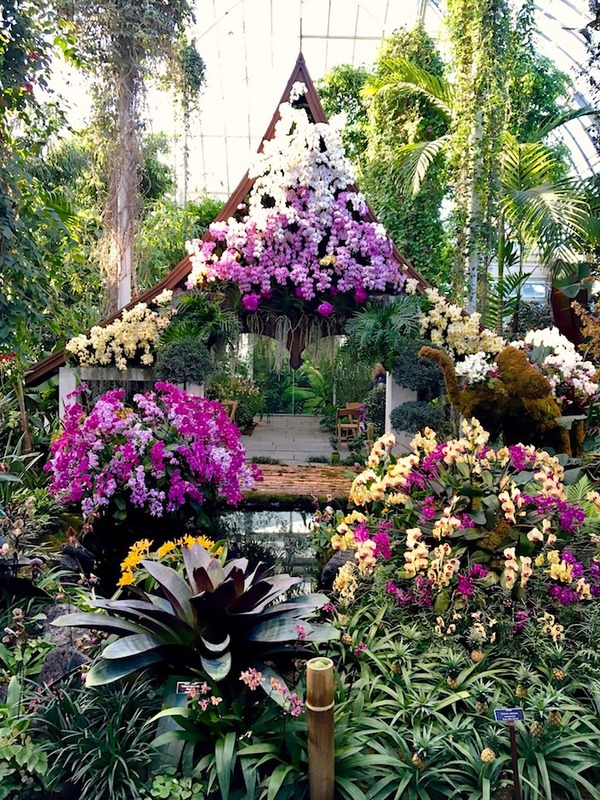 I’ve just returned from a marvelous evening at the NYBG Orchid Show – Thailand. I’ll be back with more about the show and additional photos, but in the meantime, enjoy a peek at the lush and exotic splendor of this annual event. 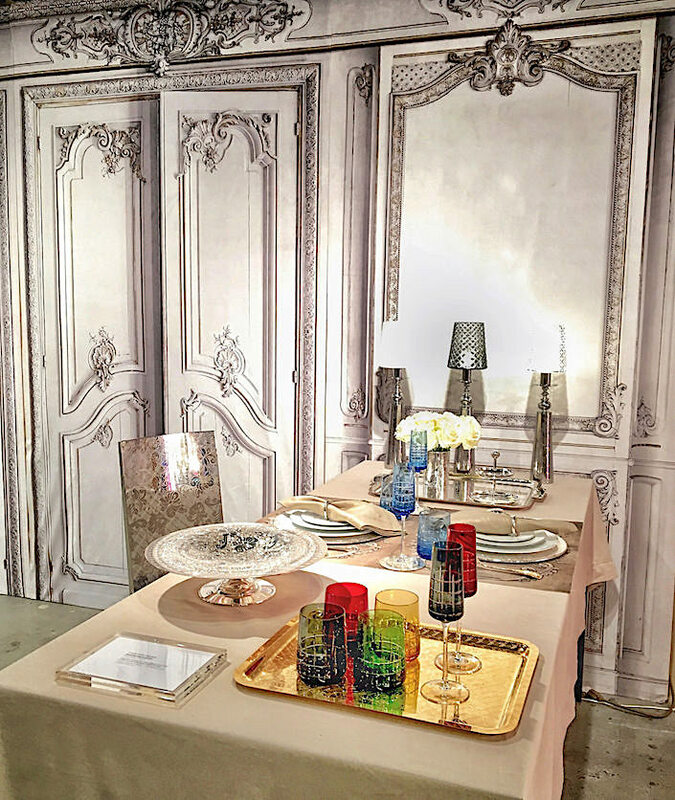 On Monday evening Dining by Design 2017 marked the 20th anniversary of DIFFA‘s (Design Industries Foundation Fighting AIDS) landmark event, bringing together brands and designers to help raise awareness, support and funds for the fight against HIV/AIDS. 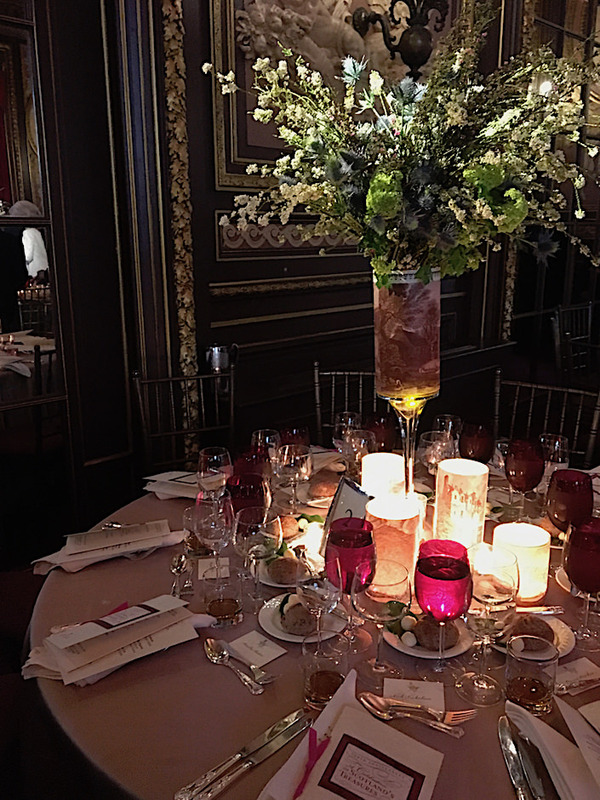 It’s always inspiring to see the inventive installations created for this special evening. 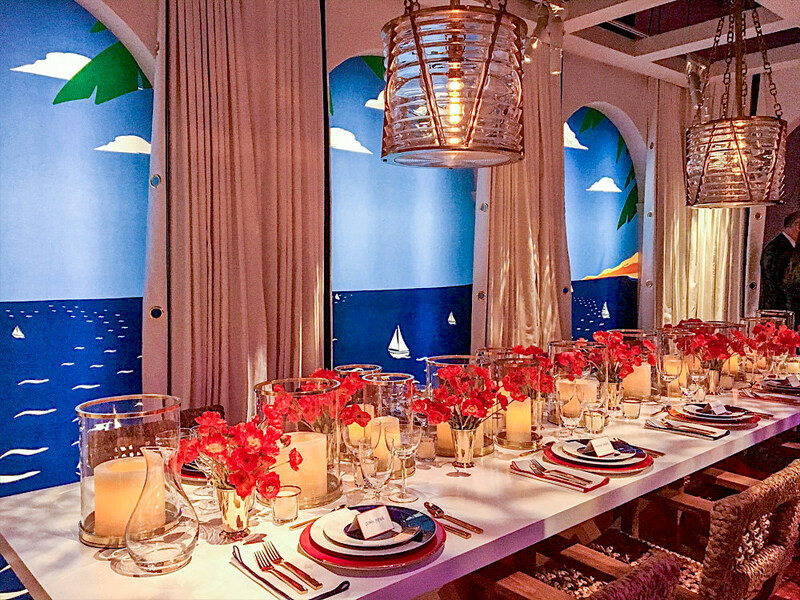 Ralph Lauren is one of this year’s sponsors who has supported Dining by Design almost from its inception in 1984, along with Crate and Barrel, Benjamin Moore, The New York Design Center and the Rockwell Group. 68 queries in 0.682 seconds.